The Oregon Ducks meet one of their biggest Pac-12 rivals in the Stanford Cardinal Saturday at Autzen Stadium. Stanford Head Coach David Shaw has Stanford Bowl Eligible and on a three game winning streak. At the beginning of the season, both teams were thought to be at the top of their game in the Pac-12. Both teams had a Heisman Trophy Candidate, but with three weeks left in the season, both teams have seen their respective seasons not go as planned. Stanford is on a roll, while the Oregon Ducks too are on a roll, in the opposite direction losing six of their last seven games. Oregon Head Coach Mark Helfrich needs three wins just to become Bowl Eligible after a season of bad play calls, injuries and youth that was honestly set to line up a losing season sooner rather than later, but there is hope. Oregon appears to have found an answer at Quarterback moving forward. With the stellar play of Freshman Justin Herbert over the last four games, the Ducks have a bright spot on Offense. The transitioning Oregon Defense is a different story. The 4-3 Scheme has not lived up to expectations and is allowing over 40 points per game this season, statistically living near the bottom of the NCAA Football Statistics. Oregon Running Back Royce Freeman has not had a great first half of the season, limited by injury and missing the game against Colorado. He came back but is not appearing to be himself. 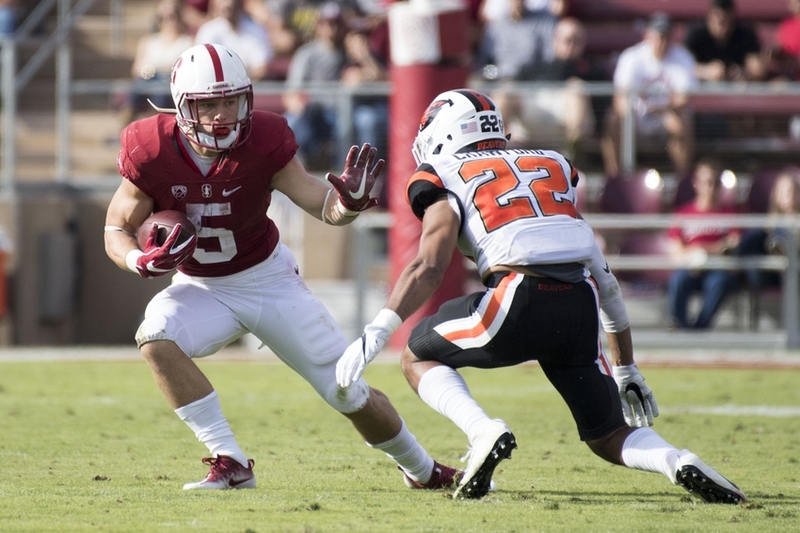 Stanford Running Back Christian McCaffrey was also hampered with an injury, but appears to have regained his form. McCaffrey leads the Pac-12 with over 190 all-purpose yards per game this season and 122 yards on the ground. One aspect that the Ducks have in their favor is their versatility at the Running Back position with Kani Benoit, Taj Griffin, and Tony Brooks-James stepping up when needed. On the Defensive side Stanford is allowing just under 19 points per game, but they find a way to get to the opposing Quarterback which should be a big concern for a young Oregon Offensive Line. The Oregon Advantage is they are scoring over 40 points per game, Stanford is pushing 20 points per game on the scoreboard. A big play or two could swing the game on Saturday. It just depends on which side makes the plays. It’s clear that the Cardinal have the better Defense for this matchup. The Oregon Ducks and Stanford Cardinal kickoff at 1pm Pacific Time on Pac-12 Network.